Liberal Democrat Maajid Nawaz is on television far more than any of the other Hampstead & Kilburn candidates and yet despite his high profile and self confidence, he is still a distant third favourite for the seat with pollsters, pundits and bookmakers. Quilliam is the anti-extremist think tank Maajid runs and heads up. It advises governments on policy, publishes research, and does outreach work in communities. Maajid’s personal story has been told in many places, not least by him at every hustings and in his book, Radical. As a teenager, Maajid joined an Islamic extremist organisation, which eventually led to him being imprisoned in Egypt. Amnesty International adopted him as a prisoner of conscience and he finally returned to the UK in 2006. He joined the Liberal Democrats before the 2010 election – which was the first time he’d voted. He argues that there are many reasons why he chose to stand in this election. “Personally I felt it was important because of my journey. I sit here before you in The Alliance in West Hampstead and it’s a long way from a solitary confinement cell in Egypt, but it’s part of my journey and part of what I want to be able to demonstrate is that there is hope to bring people together. It can potentially send out a signal to young angry teenagers that there is another way to engage in the system, who knows how successful that will be, but the symbolism is there at least. If the 16-year-old me had had the alternative messages, who knows how I’d have reacted to it. Hampstead & Kilburn appealed to him, not just because it was where he first lived when he returned from Egypt, but because it’s such an engaged constituency. He argues it’s a “small ‘l’ liberal” area, though recognises that his party needs to understand why that doesn’t translate into votes for the “big ‘l’ Liberal Democrats”. 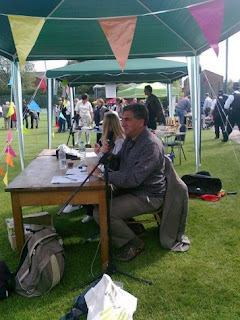 When the seat became available after the first candidate, Emily Frith, stepped down, Paddy Ashdown asked him to stand. If this election is part of Maajid’s journey, the obvious question is where does he see that journey taking him if he does – or doesn’t – win. We turn to the scenario where Maajid does win. What are his political ambitions, given that he doesn’t yet seem entirely sure whether politics or Quilliam is his natural home? Of course the challenge of this is always the geographical element – if the alternative offered is not local, or even in the same part of the country, do tenants still have to take it up to avoid paying? One challenge Maajid faces is the accusation that he’s so preoccupied with national and international issues that he lacks sufficient knowlege and interest in local matters. Whether Fortune Green councillor Flick or former West Hampstead councillor Keith are willing to do the local grunt work while Maajid pops up on Newsnight isn’t clear, but what he’s suggesting is that a vote for him is a vote for the whole Camden Lib Dem team. “It’s the package”, says Maajid. Given the hammering the local Lib Dems took at the local elections last year, losing five of their six councillors in West Hampstead and Fortune Green, one wonders whether the “package” is an appealing proposition to voters or not. 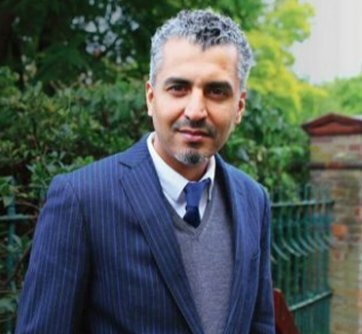 The final question: Why should I vote for Maajid Nawaz?